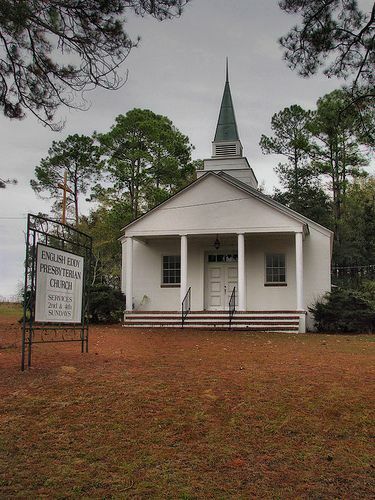 According to Hoyt Pittman, this is the second structure to house this congregation. The first was on Georgia Highway 147. Hoyt also notes that there was a small community and post office which made up the community of English Eddy proper, on Old River Road. It was named for a feature of the nearby Altamaha River. 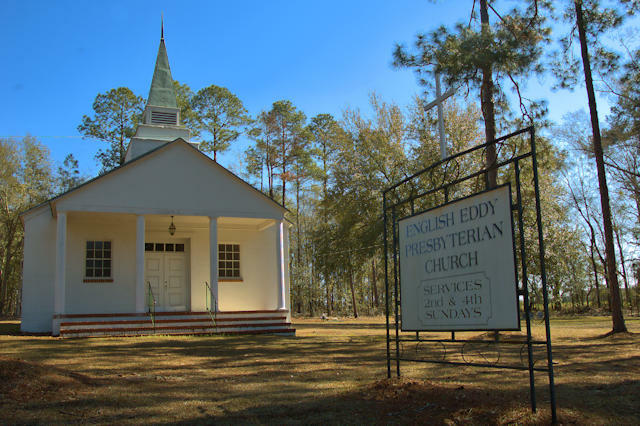 Hoyt Pittman writes: The eddy in the Altamaha River just south and west of the church was called English Eddy. There was a post office on Old River Road by the same name and a small community. The Church is the second church. The first was on 147.